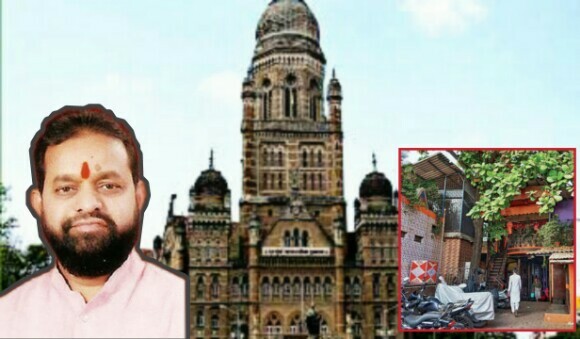 Shiv Sena corporator, Dilip Lande, faced a stringent action from BMC, allegedly, over the allegations of Lande acquiring an open space in Kajupada of Mumbai’s Kurla area, which was meant for garden, for the purpose of his own benefit. He was, allegedly, dismissed as head of Improvements Committee in Brihanmumbai Municipal Corporation (BMC) on Monday. Corporator, Sada Parab, was nominated at his place to the key committee on Monday by the Shiv Sena. He was deputed at the seat which Lande had to vacate after BMC decided to take away the position from him. Dilip Lande was a Maharashtra Navnirman Sena (MNS) corporator and a loyalist of MNS chief, Raj Thackeray, until October 2017 when he finally made his move into his original party, Shiv Sena. He moved to Shiv Sena along with 5 other MNS corporators last year and took the whole city to a surprise. He made headlines during that period for making a bold step. Though Lande has refuted the claims of reports of Uddhav Thackeray being upset with him due to his ownership of a house at a garden open space in Kajupada, we believe there is no smoke without fire. His replacement, Sada Parab, is known to be a trusted aide of Sena Legislator, Sanjay Potnis, and is considered a Sena loyalist. According to the BMC’s land acquisition proposal, it wanted to acquire a land in Kurla which was considered an open space in the development plan. The civic body wanted to acquire this land for a playground. Lande had rejected this proposal claiming that the land parcel is full of encroachment and would be of no use to BMC. However, the proposal of the same plot was cleared by the Improvement Committee in 2017; Lande wasn’t heading the committee then. Meanwhile, in December last year, it emerged that the corporator owned a house on the same plot. And so the corporator got involved in the open space controversy. The civic Improvements Committee had also rejected the proposal to acquire six plots meant for various civic amenities like municipal school, playground, a garden, a public road and sports center, claiming them to be full of encroachments and of no use to BMC. When Ajanta News spoke to Congress MLA (Member of Legislative Assembly) from Chandivali constituency, Naseem Khan, who Lande is preparing to take on in the Maharashtra state Assembly election 2019, Khan refuted Lande’s ‘term completion’ claims. “There were charges on him for the open spaces scam and so the Shiv Sena has taken a call on it. In his one year term as the Chairman of the Improvement Committee, a lot of scams have come up. Earlier also there were so many allegations on him.” claimed Khan. We also asked him if he was behind the action, as per sources’ claims, against the Sena Corporator as Lande is planning to contest assembly election against him in his constituency. Khan refuted the allegations. “Do you think Shiv Sena is run by me? Why do sources think that it is me behind the action? He (Dilip Lande) is not even a declared candidate against me.” said Naseem Khan in a conversation with Ajanta News. Khan also highlighted that the ward Lande represents is deprived of basic amenities like water, drainage system, etc. 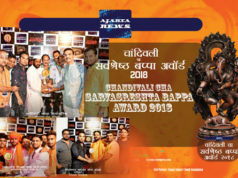 Ajanta News also tried to reach the National President of Bharatiya Janata Yuva Morcha (BJYM), Poonam Mahajan, for her reaction on this, as Lande was seen campaigning for her for the upcoming Lok Sabha polls from Chandivali constituency, but all the calls went unanswered. Poonam Mahajan is the sitting MP (Member of Parliament) from Mumbai’s North-Central constituency which Kurla is a part of. According to the reports, when the Shiv Sena chief Uddhav Thackeray got to know about this, he asked to re-open the proposal so that the plot can be acquired.